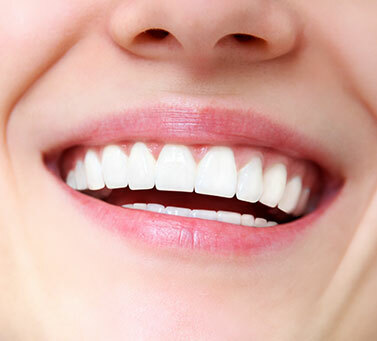 Healthy gums are essential to great dental health. If you’re experiencing issues with your gums or you are concerned that you might be dealing with gum disease, we can help. Kyle Parkway Dentistry is proud to offer a comprehensive periodontal care program. From diagnosis to treatment, we’ll work with you to relieve your symptoms and get you back to great health. Not sure if you have periodontal disease? Some of the warning signs include red or swollen gums, tender gums, bleeding while brushing or flossing, receding gums, loose teeth, sensitive teeth, mouth sores, and persistent bad breath. Common risk factors include tobacco use, diabetes, poor nutrition, and grinding your teeth. 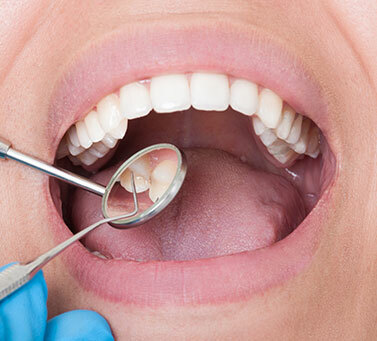 In order to diagnose periodontal disease, Dr. Dholariya will perform a visual exam. This check is also done as part of a routine dental visit. We will measure the space between your tooth and gums, known as measuring the pockets, to see if they are a healthy depth. We will also check for any bleeding or inflammation. There are two general types of periodontal disease: gingivitis and periodontitis. 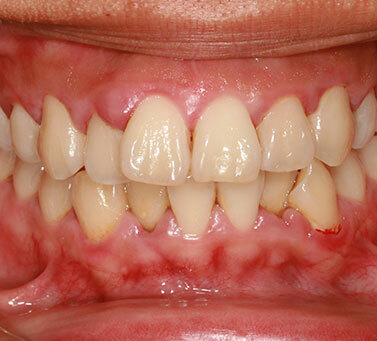 Gingivitis is the least severe stage where your gums are tender and inflamed, and they may bleed. As the condition worsens, your gums are more irritated and bleed more easily. Left untreated, gum disease can even result in your teeth loosening or falling out and bone loss. How we treat your periodontal disease is heavily dependent on how advanced your condition is. There are a variety of treatment options available, including a deep cleaning known as scaling and root planing, antimicrobial rinses, antibiotic gel, and antibiotic tablets. With scaling and root planing, we first remove any tartar around the gum line and then we smooth out any rough spots around the tooth root to eliminate any inflammation.